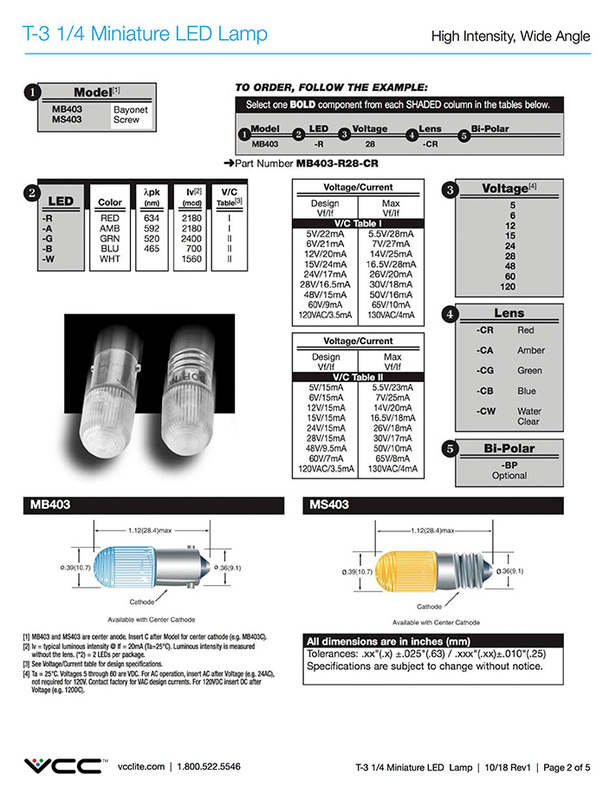 LED replacement for incandescent lamps in a variety of colors and voltages and is ideal for mission critical applications. 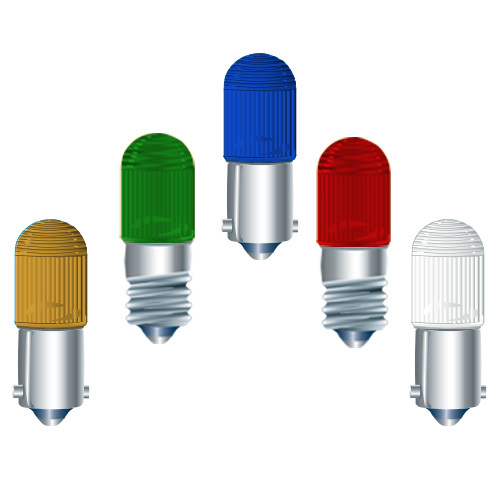 Ideal for drop in replacements for the less efficient filament lamps, typically used within pushbutton switches and indicators. 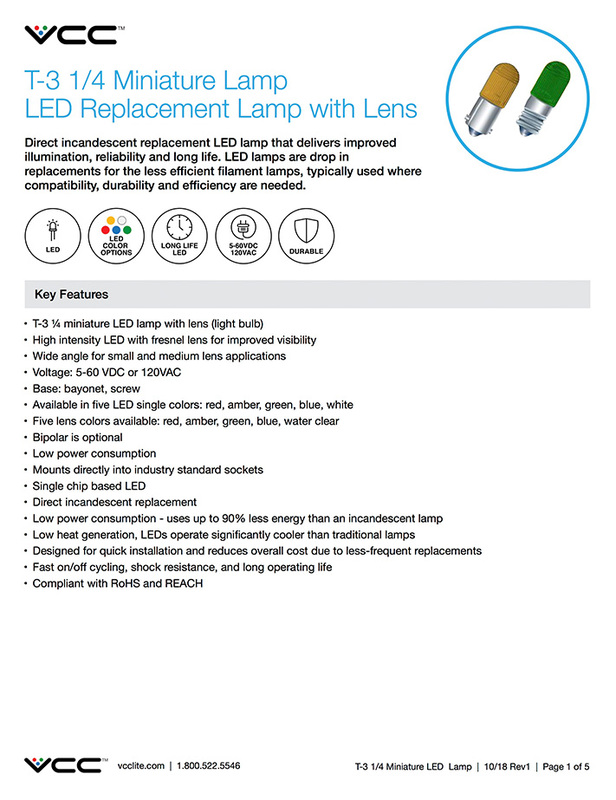 High intensity LED offering with fresnel lens for improved visibility. 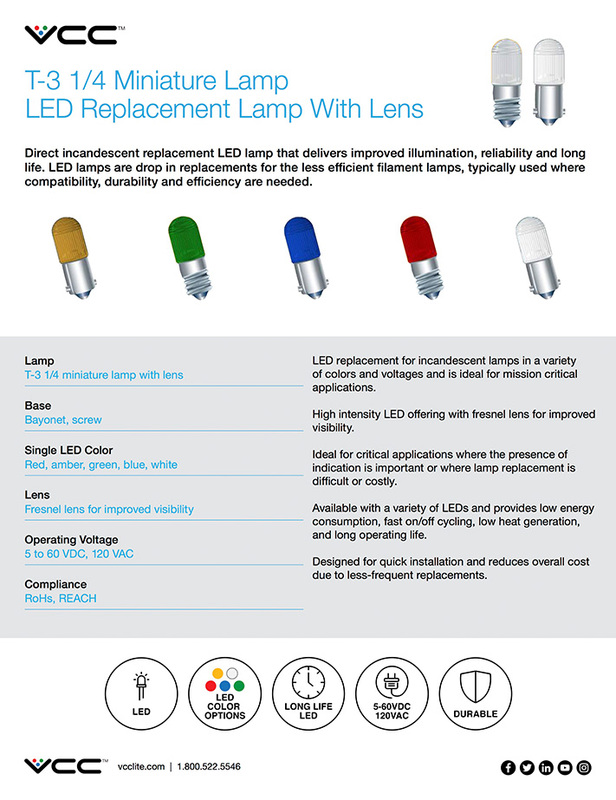 Available with a variety of LEDs and provides low energy consumption, fast on/off cycling, low heat generation, and long operating life. 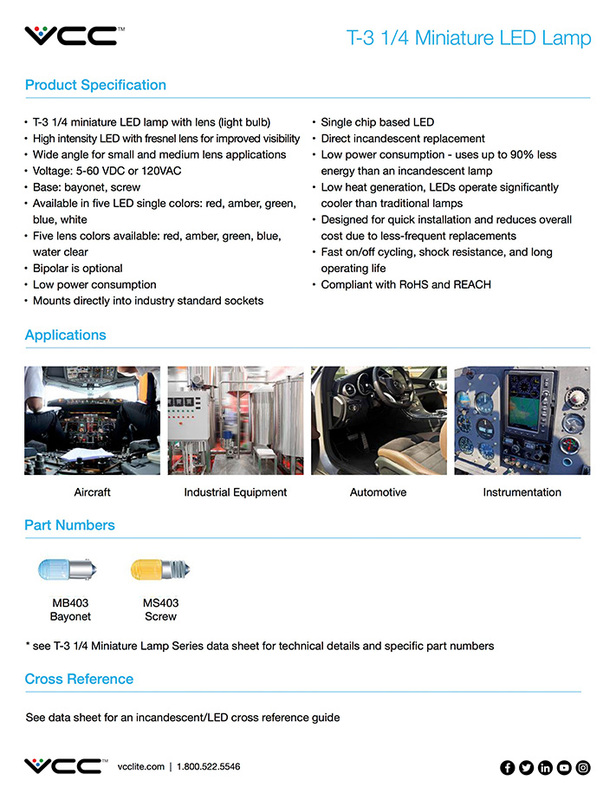 Ideal applications: industrial equipment, aircraft, automotive, radios, status indication, instrumentation, toys. 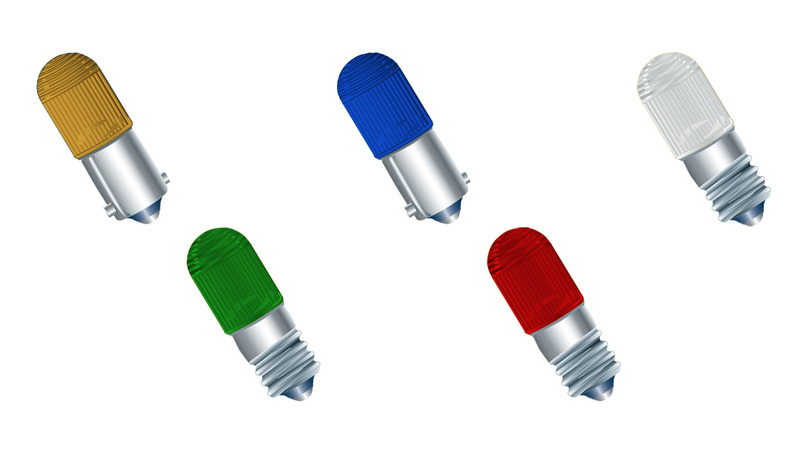 Offered in five single LED colors: red, amber, green, blue and white.